Shenzhen became the most economically competitive city in China last year, replacing Hong Kong in 2013, according to the press conference for the release of Urban Competitiveness Blue Book held in Beijing on May 15. The top 10 cities are mainly located in the Pearl River Delta, Yangtze River Delta, Bohai Economic Rim, Hong Kong, Macao and Taiwan, the “Urban Competitiveness Blue Book—No. 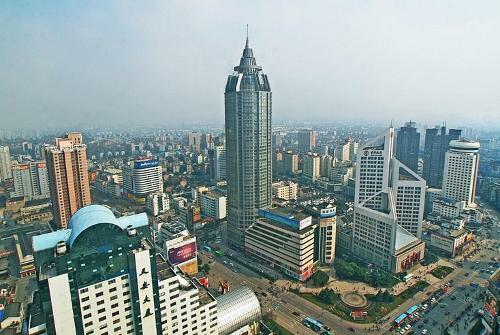 13 Competitiveness Report on Chinese Cities’ Competitiveness” said. No cities from the middle and western parts of China made the top 10 rankings. The report noted that the reason why Hong Kong was replaced by Shenzhen was that Hong Kong put much emphasis on trade, finance, shipping, tourism and services while neglecting new emerging industries to some degree. Shenzhen became the most economically competitive city in China last year, replacing Hong Kong in 2013, according to newly released Urban Competitiveness Blue Book.